You can easily find a hundred lists on the internet boasting of "travel essentials." Most of them seem to be huge advertisements for products you either don't need, or would have to be a zillionaire to afford. It's better, because we know you already know the basics. You have your favorite carry-on, you rarely use a checked bag - unless you're headed out on a vacation, and you just want some advice on what you're carrying. If you're anything like us, you do, however, forget things. No matter how many times you tell yourself, "not this time." We love to travel, it brings with it the feeling of joy and excitement nothing else quite matches. Packing your travel essentials, however, could bring more groans of frustration than squeals of glee. That is especially true if you're trying to stuff everything in your closet into a small carry-on bag. Organizing your items and deciding what is truly necessary or not makes packing that much easier. Personally, if I could stuff my entire home in my checked bag, I would. Only through careful selection and thoughtful packing am I able to successfully bundle all my articles into one piece of luggage. That is made more difficult for trans-Atlantic flights to another continent, where the weather is often vastly different. But while there are some items I could go without, others are definite travel essentials. Learning how to choose what "essentials" to bring with you, and how to choose them, will make packing for your next trip a breeze! We'll nail down your list of essentials, plus some advice for when it's time to fly the coop. Before we get down to the nitty-gritty, it’s important to define what the bare minimum travel essentials are. Whether you're going on a Caribbean cruise or a business trip to Virginia, if you aren't going to be there long and need to pack light, these are your must-haves. These items should all fit handily in your carry-on, along with your needed electronics. We'll get to that next. For short trips, that carry-on is really all you need. For longer, more involved trips -- or when you're traveling with your kids, a checked bag is probably necessary. and spending extra hundreds of dollars at your destination. For most business travelers, their carry-on bag holds everything they need to make their trip comfortable. For vacation travelers, this is an essential piece also. You'll want to keep many things with you. Chose a sturdy carry on that meets the size requirement of your airline. The Transportation Security Administration (TSA) outlines what you can and cannot pack in both your carry-on and checked bag. You should never put weapons, liquid containers above allowable size, or lighters in your carry-on. The most expensive luggage in the world is a Louis Vuitton trunk. The 55-inch sport's trunk was designed by a famous Cricket player, Michael Clarke, to benefit the Sydney Children's Hospital. This trunk came in at a whopping $170,000. For longer trips, especially for leisure or with the family, your checked bag will hold the rest of your extended travel essentials. Because, let's face it, we all want a touch of home wherever we go. Everything from clothes to favorite pillows, to small, unbreakable gifts is neatly packed into this bag and stored in the plane's cargo until landing. You need a sturdy piece of luggage! So, which is it, hard-shell, or soft? The toughest decision in this instance is hard vs. soft shell luggage. tend to last for many years. I personally think hard-shell bags are the way to go. While they may be less durable than soft bags, their four wheels make accessibility a breeze. Plus, their tough outer shell protects the bag's contents much better than soft bags. Whether you're taking off to Borneo or New York, there is nothing like being well-prepared. Take a look at these travel essentials, then decide if you really packed right. Most people don't realize the advantage of having a dedicated travel wallet. Travel wallets are usually set up differently from your standard bi- or tri-fold wallet. There's everything from zippered, to RFID blo​​cking (stopping thieves from stealing your information), to leather -- there's and infinite variety of choices. Before embarking on your journey, take everything out of your everyday purse or wallet. Then, decide whether or not you'll need each item for your next adventure. You'll need your legal documents, and likely your bank card or credit cards. However, you'll find you can leave coupons, loyalty cards, gift cards, and receipts at home. Your wallet loses weight, and you gain space for other things, like your immunization records. A comfortable neck pillow means the difference between a long, agitating flight and hours of peaceful slumber. But just like bedroom pillows, there are several sizes and materials for neck pillows. Finding which one works for you is often a game of hit or miss. Whether you're leaving for a couple of days or a couple of weeks, a toiletry bag is an absolute must-have. This will hold shower travel essentials (soap, hair care, and razors), makeup, your luxury shave kit (leave the straight razor at home unless you pack it in your checked bag), or beard care and everything in between. It should fit in your carry-on, and have lots of compartments! Consider purchasing a hanging toiletry bag so you'll never have to rummage through your bag again. There is no need to pack full-size bottles for a week-long journey. Minimize the bulk by re-packaging your liquids (shampoo, conditioner, soap, etc.) into smaller, more convenient containers. If you're traveling with just a carry-on, ensure your bottles do not exceed 100 milliliters as per TSA rules. Slightly larger travel-sized containers are still suitable for checked bags.Look for soft, silicone containers that are leak-proof and have a sturdy bottle cap such as these AusKit Travel Bottles. They have a lanyard to allow hanging them to keep them off of public floors and surfaces. Look for soft, silicone containers that are leak-proof and have a sturdy bottle cap such as these AusKit Travel Bottles. They have a lanyard to allow hanging them to keep them off of public floors and surfaces. You could also re-pot other small travel essentials such as moisturizer, toner, and foundation for extra storage. Invest in small travel containers and use a little spoon to scoop out enough product for the duration of your travels. In a pinch, pill organizers also make excellent makeup storage containers for your trip. So simple, many people forget this daily use item. Teeth. Or, rather, what you need to keep them clean and your breath smelling fresh. Considering we should change our toothbrush every three months, this trip is the perfect excuse to buy a new one. Foldable travel toothbrushes are great space-savers which also double as containers to protect the bristles. Don't forget mini toothpaste and a travel-friendly roll of floss. Don't have much time, but plenty of cash? For the bargain rate of $195,000, White Desert offers a one-day trip to Antarctica. A Gulfstream Private Jet takes you from Capetown, South Africa, to your icy destination. After exploring the once-in-a-lifetime vacation spot for about eight hours, you'll enjoy a gourmet champagne dinner. Choosing items for your journey depends on where you're going. Whether you're traveling to Fiji or Greenland, the most critical factor is your destination's weather. Made by Hermès, comes a beach towel for the rich and famous. The 100 percent cotton-terry luxury towel measures 36 inches by 60 inches and sports 20 different prints. It will also run you up to $600. 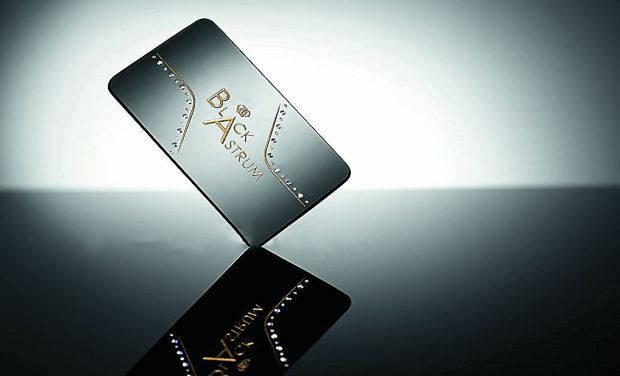 In 2012, the Black Astrum Signature Card stunned the business world. Sold in packs of 25, 50, or 100, they ran an astounding $1,500, each. Sporting Swiss metal construction they're studded with over 30 carats of diamonds. In 2017, Americans made 462 million trips for business purposes, including meetings and events. Most of which, of course, last only a few days. Traveling so often for so little time means packing light and more or less bringing the same travel essentials. Getting enough sleep is vital to your health and success. Trying to get enough sleep on a noisy, well-lit flight? Nearly impossible for some of us. The sleeping mask, working with your neck pillow, is the perfect combination to help get the Zs you need. We recommend a contoured eye mask so the light doesn't somehow peek beneath or below your mask. Make sure the material is also lightweight and breathable so your makeup doesn't smudge while you're dozing. Whether you're traveling for business or pleasure, a good pair of headphones is definitely a travel essential. But not all "headphones" are equal. If you are listening to tunes, any earbuds with decent sound will work. 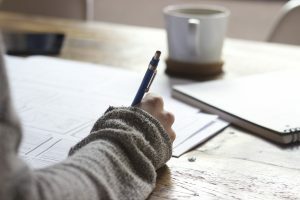 But what about when preparing a presentation or listening to one? For things requiring your complete attention, only good, noise-canceling headphones could do the job. Pay attention to battery life, cord options, the carrying case they come with, and how well they fit over your ears. If nothing else, they'll drown out the crying kid three rows back while you are trying to polish your presentation. Keeping your devices charged up at all times is challenging when outlets are far and few between. Stay connected by investing in a power bank to charge your devices wherever you are. Or, don't -- and find yourself hugging a wall in an airport or with a dead device when you need it most. Most power banks hold enough power to charge anything from a smartphone to a camera battery. Their size, weight, and capacity all depends on their quality and choosing ​​the best one is no walk in the park. The best portable power banks are small, lightweight, and powerful. This triple threat often means shelling out some cash, so you aren't stranded with a dead smartphone. Traveling for business purposes means looking your best. Unfortunately, between getting to the plane, sitting through the flight, and heading to your destination, you're likely to be wearing a giant wrinkle. While you could theoretically pack a change of clothes into your carry-on or checked bag, the chances they are also wrinkled is quite high. If I can't wear my clothes and I shouldn't pack them, how should I dress to impress? If you want to know the top travel essentials for the frequent business flyer. This may be it. These bags maintain the shape of your clothes without overfolding them, therefore saving your clothes from wrinkles. In 1999, world-famous cellist Yo-Yo Ma put his 266-year-old, $2.5 million cello in the trunk of his taxi. Sleep-deprived, he would later realize, he never retrieved it. Much later, with the help of the police, the instrument was found. Lesson -- don't leave your valuables out of sight. Sometimes we forget to pack them because our bags are already overflowing. Other times, we're so focused on the travel essentials that we forget about the little things. 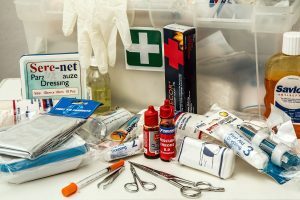 But no matter how many checklists you've made or how often you check your bags, there is usually an item or two that somehow gets lost along the way. 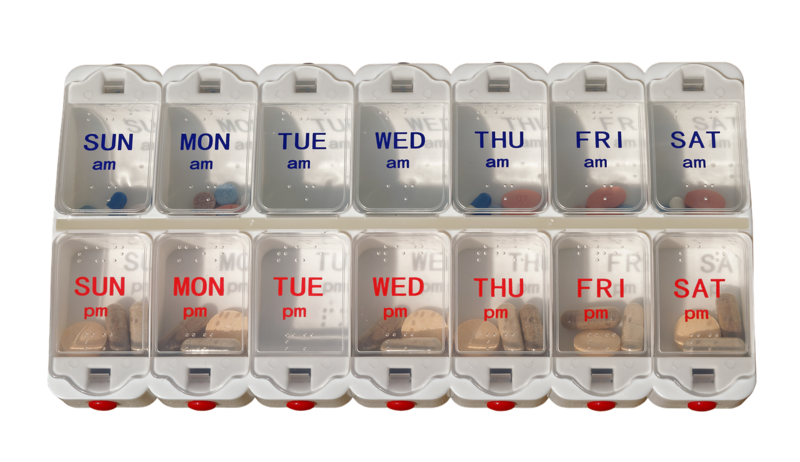 Take inventory of your daily and weekly medications and place them on the counter next to your important documents. It ensures you not only take them (if necessary) the day of your flight, but you'll also remember to pop them into your carry on. Travelers who wear glasses on a daily basis probably won't forget their spectacles at home. However, if you only use your lenses for reading purposes, you may very well forget them in the mad dash for the airport. Like medications, keep your glasses and their corresponding case right beside other travel essentials such as your passport and tickets. Remember to pack an extra pair of contact lenses and contact solution just in case. Dropping a contact at home is not a big deal. However, losing it when you're in the middle of a museum without a spare contact or your glasses? Not only is your outing ruined, but you'll also lose precious vacation hours running around for new specs. Dehydration is a very real concern when traveling on an airplane for several hours. Homes typically have humidity levels anywhere between 30 and 65 percent. In comparison, air cabin levels generally are between 10 and 20 percent. With humidity levels so low, it's important to stay hydrated. To keep your body happy (both in a plane and out), pack your favorite refillable water bottle. Having your bottle also ensures you're always hydrated for vacation excursions or during city tours. The forecast is often unpredictable. However, most of us forget to prepare for wet weather where we are headed. 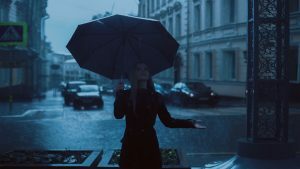 Unless you're facing a torrential downpour, a compact umbrella will serve you just fine. Every traveler has their own quick tip or handy trick to make your journey a little bit easier. We found some of the best advice for seamless travel: no tricks needed. Technology has made traveling quick and efficient with online bookings, e-tickets, and even onboard Wi-Fi. The world, however, gets a little bit chaotic amidst technology blackouts, so be prepared. Don't rely on your phone to relay boarding passes or insurance information. Print all the necessary documents and make sure everyone in your party has a copy. That hard copy comes in handy in case of a tech emergency. It means if your phone somehow flies out the window of the taxi while you take a goodbye sunset photo, you aren't sweating bullets. Also, don't assume airport procedures remain unchanged since the last time you've traveled. Talk to your local travel agent and ask them if you need any specific paperwork at border security both at your country of origin and destination. If you need those documents, print them out, fill them out, and keep them on your person. Check and double-check before you leave. The last thing anyone wants is to be stuck at an airport because they're missing a necessary form. packing them incorrectly can ruin your journey. There is no 100 percent fool-proof way to stop leaks or breaks, but there are measures to lower the chances of it happening. First, fill your bottles only 2/3 of the way full and squeeze out the remainder of the air. Less air equals less leaks. Secondly, wrap plastic wrap between the bottle's opening and the lid for an extra layer of protection. Lastly, chuck all your liquids in a thick plastic, seal-able bag. That is your last line of defense. If somehow the bottle breaks and gets through the saran wrap, at least it won't get all over your clothes. Cleaning up leaky shampoo is significantly more manageable when it’s not all over your clean clothing. At the end of nearly every vacation, I find myself looking through clothes that I never got the chance to use. It is because I tend to over pack no matter where I go. Avoid this by planning out every one of your outfits for the day. Try to match up several tops for one bottom (or vice versa). Ask yourself: how many pairs of shoes do I need? You can never pack too much underwear. Bring extras! Once you've decided on your clothes, a great space-saving tip is to fold and roll all of your clothes. Roll everything from long-sleeved t-shirts to thermal longjohns, pack them tightly, and you'll find lots of extra space for souvenirs. Let's focus on your devices: cameras, smartphones, tablets, etc. Lay out all the tech pieces you're bringing with you on your bed. That ensures you have the right cord or battery for the device you have, eliminating unnecessary wires. Go through your smartphone and camera's memory card. Transfer previous photos and delete them from your device or memory card. When it comes to traveling, you could never do too much research. From the average rainfall to the cost of local transportation, learn about your destination. The last thing you want to do is be nose-deep in a book or smartphone because you're not sure of the language or where you're going. Plan to dedicate up to an hour per day in the weeks before your trip learning about where you are going next. Read up on local customs, upcoming festivals, or popular restaurant dishes. The more you know, the better prepared you are, and the more fun you'll have every day away from home!